The world of online casino has increasingly become one of the most popular activities and it’s not difficult to see why. One thing you’ll notice about the casino industry online is just how fast-paced it can be. Changes and improvements are made on a daily basis and these advancements mean that standing still is not good if you want your product to remain relevant. One of the main reasons why the online casino industry has advanced so rapidly is because of accessibility. Unlike their land-based counterparts, a casino online is open 24 hours a day, seven days a week, meaning that there are no longer any time restrictions on gameplay. Other reasons include the quality and sheer quantity of casino games for players. There is something for everyone at an online casino. However, the main reason why they’ve become so popular are the bonuses available. Casino bonuses have revolutionised the industry to such an extent that they’ve become a permanent fixture for operators. Things like welcome offers and promotions, regardless of whether they’re used on slots or table games like poker and roulette, have helped to entice new players to join a casino online. At Casinobet.com, we’ve looked through and examined a vast range of casino bonuses and offers online to help you decide which are the best casinos to join and win big jackpots from. We’ve looked at Redbet Casino’s welcome bonus, which is sure to attract plenty of new players, such are the rewards available to those who sign up and register at the casino site. The casino is powered by Microgaming, therefore players can be sure of a premium gaming experience. At Redbet, new players are welcomed with a trio of bonuses once they’ve made a deposit. The Redbet welcome offer works as a deposit bonus, meaning that players will receive a bonus as soon as they’ve made a deposit on the site. When players make a first deposit up to £50, the casino will match it and give 50 free spins to use on the NetEnt slot game, Warlords. To take advantage of this, players must use the bonus code WELCOME. When a player has made a second deposit, they’ll again receive a 100% bonus up to £50 plus 50 free spins to use on the one of the most popular slots available, Starburst. Again, a bonus code is required and this time it’s WELCOME2. Finally, once a third deposit is made, players will receive a 50% deposit bonus up to £100 and 50 free spins to use on another NetEnt slot, Gonzo’s Quest. Like the previous two deposit bonuses, another bonus code is required, WELCOME3. To take advantage of all these offers, a minimum deposit of £20 must be made and the bonus funds have have wagering requirements set at 35x before a withdrawal can be made. All free spins must be played within 7 days of the qualifying deposit. The Offers tab on the homepage will direct you to all of Redbet’s promotions. 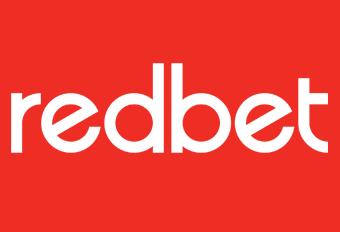 However, unlike many other online sportsbooks and casinos, which keep their products separate, Redbet have merged all their promotions together. This makes it a little bit harder to find what you’re looking for. Despite that though, there are still a host of different promotions online, including the weekly Feature Hunter game. This takes place every weekend and players have the opportunity to win £1,000 shared cash prize. All you have to do is activate features in the game every week and you’ll be rewarded with points, with the person with the most points winning the top prize. One of the most exciting advancements in the world of online casino is the introduction of mobile gambling. Mobile gaming allows players to enjoy all their favourite games and everything that a casino has to offer, whenever and wherever they want. Redbet have a fully functioning mobile casino that is available on both iPhone and Android devices and it’s one of the best around. It’s user-friendly and features dozens of games, predominantly slots, which is sure to excite those who enjoy playing on the move. The introduction of mobile gaming has revolutionised the gambling industry and has made gameplay much more accessible to casino-goers. Redbet have grasped this aspect of the industry very well and benefit because of it. When you accept any promotions, including free spins, first deposits and other cash prizes, you must first check the specific terms and conditions of use for your bonus before enjoying it. There are usually playthrough and wagering requirements to check before taking part. Wagering requirements are a key part of any welcome bonus. These are requirements that you must meet in order to unlock the winnings from the bonus. Redbet’s are set at 35x, meaning that you have to wager your bonus 35 times before being able to make a withdrawal. It’s always important to read the conditions of the bonus, otherwise you could find yourself fulfilling all the other requirements, but lose out because of one tiny piece of small print. There are a number of payment methods and e-wallets available to use at Redbet, including NETELLER, Skrill and paysafecard.